Fresh herbal and balsam hop with a hint of tropical fruit. A great beer bursting with aromatic hop character and aroma, with a refreshing bitter finish. 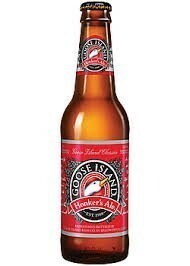 From Chicago's craft brewery Goose Island, comes this India Pale Ale. It recalls a time when ales shipped from England to India were highly hopped to preserve their distinct taste during the long journey. 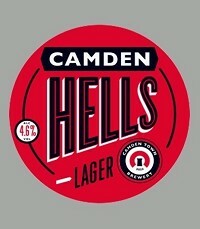 The result is a hop lovers dream with a fruity aroma, off set by a dry malt middle and long hop finish. An interpretation of an ale brewed by Guinness in 1801. Balck, chocolate and liquorice tones. Amber beer with a touch of honey on the nose and palate. The sweetness is balanced by a healthy dose of hops to provide the bitterness that gives a wonderfully delicate flavour. An amber gold beer with a malty character. A revival of Brooklyn's pre-prohibition era. A truly American beer. A classic lager that's exactly what it should be: easy-drinking, crisp and dry with beautiful bubbles. Clean and refreshing with a dry hop finish, you can taste the great depth of flavour which comes from the long, slow maturation in tank. This is how a great lager should taste. 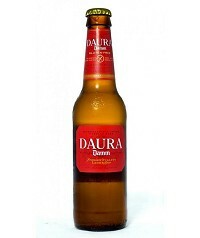 Gluten-free beer, brewed with barley malt. A good mix of hops and slightly toasted cereal aromas on the nose with slight sweetness and spice coming through. Fruits flavours dominate the palate, with a light, sweet malt character and a slightly dry end. 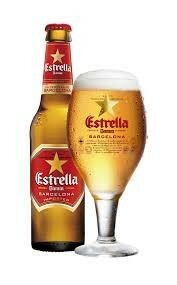 A Mediterranean beer from Barcelona, full flavoured and golden. 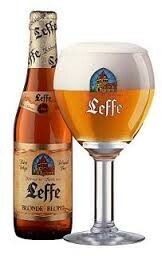 An authentic Belgian Abbey beer. 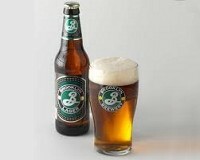 Selected aromatic malts give the beer its deep golden colour and full-bodied fruity, lightly spiced taste. Modelo Especial is a pilsner-style lager whose original recipe was first brewed in Mexico in 1925, under the vision to create a 'model' beer. Since its introduction to the U.S. in the 1990s, Modelo Especial has grown organically from the ground up, gaining its status from below via bodegas, convenience stores, and word-of-mouth. 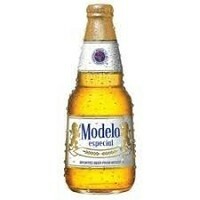 Modelo Especial is the #2 imported beer in the total U.S., selling more than 50 million cases annually. For over twenty years Modelo Especial has achieved double-digit volume growth as Hispanic and General Market consumers continue to discover the beer. Modelo Especial is an authentic, straight-up good beer that prides itself on its quality and ability to stay true to itself, despite its status as the #2 imported beer. For Hispanic and General Market consumers who rely on the choices they make to express themselves, Modelo Especial is a high quality beer that makes a statement of substance over style because of its distinctive look, authenticity, and well-balanced flavor. 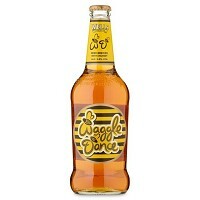 3.5% alcohol by weight, 4.4% alcohol by volume, 145 calories, 0 grams of fat per 12 oz. 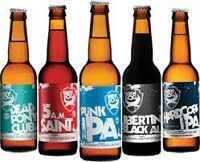 A popular beer from Brewdog who describe the beer as "uncompromising, bold, irreverent and with a soul" We agree!